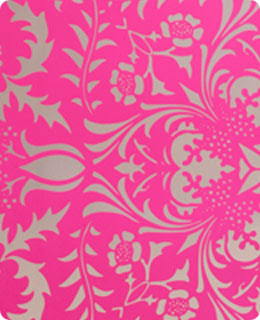 In celebration of Valentine's Day, I'm sending out some wonderful pink things from the city I love, with love from me! 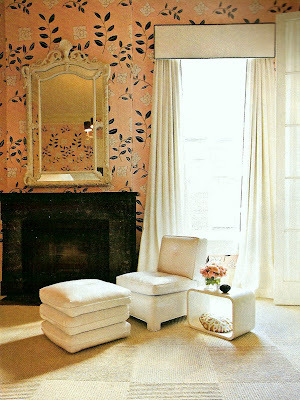 Shvitz Comfortwear's showroom in New York with Flavor Paper's Kabloom wallpaper in White on Chrome Mylar. 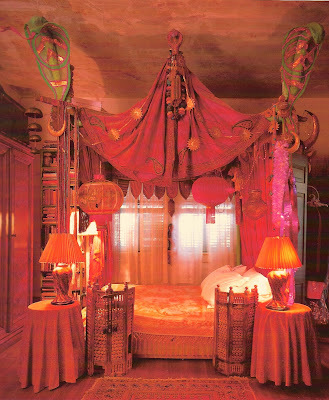 Paul Poche's Tented Room in New Orleans:Elegance and Decadence, Poche' is quoted as saying "If this bed could talk, we'd have to shoot it!" And that, in my opinion is the perfect ending for this Valentine's Day from New Orleans post. Love to All from way down yonder! In acknowledgement of the beginning of the lenten season, which began on Ash Wednesday, the day after Mardi Gras, I thought it would be a good time to look at Ghosts Along the Mississippi, an amazing book by the noted photographer Clarence John Laughlin. The book consists of 100 photographs by the author which elegize and document "the rise and fall of Louisiana plantation culture." 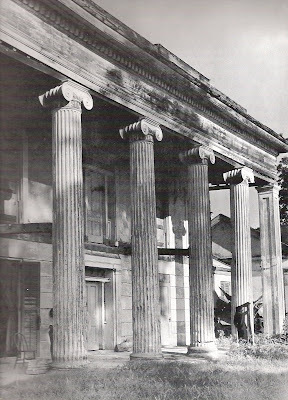 While the photos in this book present a study of plantation culture and architecture, each photograph may be seen as an individual work of art. 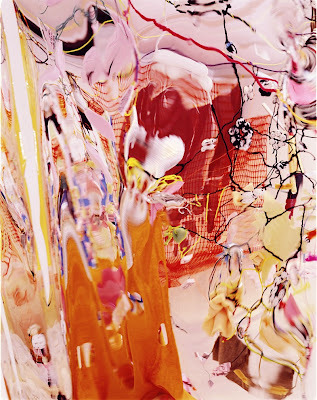 The photos are both educational and haunting, and the accompanying text is passionately poetic. That is why, in many cases I have chosen to caption the pictures with Laughlin's own words. In many cases, Clarence Laughlin eulogizes a particular structure by artistically presenting its ruined form as something beautiful to behold. The text morns its loss and yet honors its fading grandeur. Below are 3 photographs of Belle Grove Plantation, which Laughlin writes, "its birth was attended by the dark star of the year 1857." 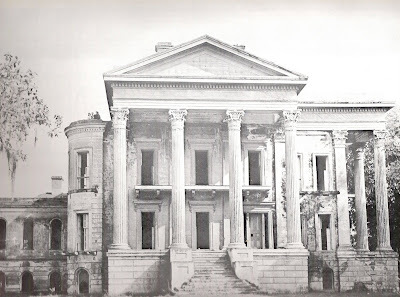 "Tragic Queen (No.1)" Laughlin writes that when "John Andrews commissioned James Gallier and his son-then the foremost Greek Revival architects in the South-he indicated that no account of construction expenditures need be kept." 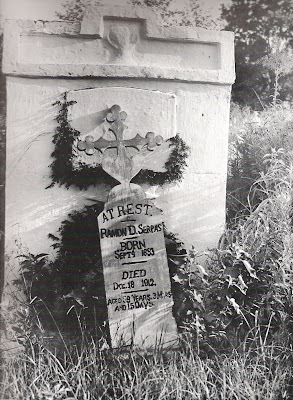 He then goes on to say that John Andrews' fortune was swept away by the civil war, and he sold the house to the Ware family, who owned it until it was abandoned in 1924 after crop failures and other misfortunes. 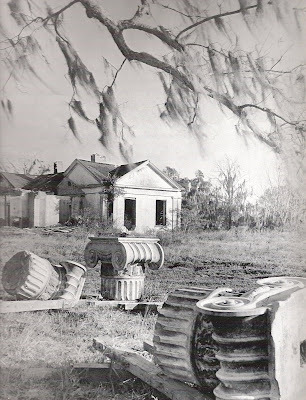 Accompanying this picture, the text reads, "Stripped of all its beautiful marble and iron, Belle Grove now lies, its great hollow hulk gaping form beneath the mourning oaks; its interior walls unbelieveably ruined under rapid and ruthless onslaughts of Louisiana heat and rain, and lined with strangely beautiful and lustrous green mould..."
"Tragic Queen (No. 2)" In Laughlin's words, "When completed in 1857, its tremendous mass rose on huge brick foundation arches over twelve feet above the surrounding earth, its walls and mantels were plastered and carved by the most expert European craftsmen money could secure. Its great flight of brick steps were covered with imported marble, its doorknobs and keyhold guards were of silver, its corinthian capitals six feet high, but of the utmost refinement...Yet it was not heavy, or pompous. It managed somehow to combine vastness with delicacy: titanic proportions with grace and warmth, much as piranesi was able to do in his marvelous engravings." 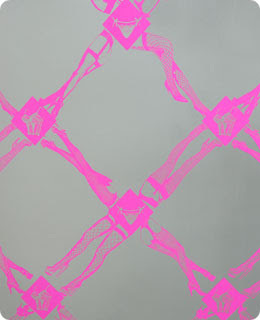 "Grandeur and Decay (No. 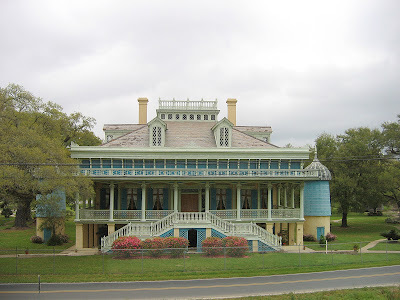 1)" Laughlin notes that although Belle Grove has obvious Greek Revival inspiration, it doesn't comform to any of the estaglished characteristics of Louisiana classic houses. He emphasizes that this plate shows the dramatic contrast between the grandeur and decay of the great plantations houses. 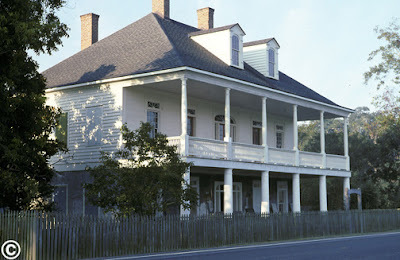 Uncle Sam Plantation (below) was "the last of the truly great Louisiana style houses to be built." I love the way Laughlin describes this house and makes it clear how very indigenous this architecture is: "On a substructure of wealth amassed from sugar the great walls and pillars of Uncle Sam arose: pillars and walls whose golden brown tint due, it is said to the river sand used in the cement and mortar, lasted through all the years of their existence, and with a strange symbolism was not unlike the color of the "yellow" sugar which, antedating the final development of the refining process, formed, economically, their ultimate foundations." This plate, entitled "The Massive Columns" is described by Laughlin thus: "The main structure-two storied and tremendous in scale...was supported on all sides by huge Roman Doric columns, twenty eight in number. 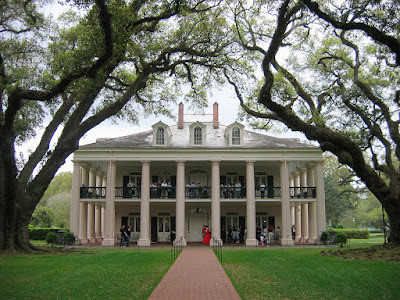 Its plan remained true to Louisiana Classic tradition; the great center halls above and below,the four rooms on each floor opening into the halls and opening as well, onto the broad encircling gallery and verandah by means of long windows. This plate is entitled "Temple to a Misplaced Past" and shows the structure which, separate from the house, held the kitchen. 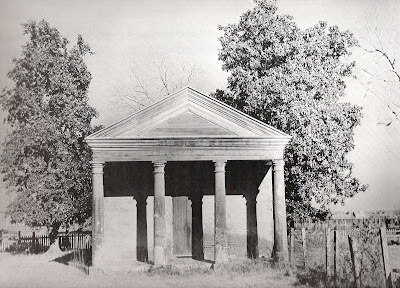 According to Laughlin, the structure gives the impression that a small Greek temple "strayed, somehow into Louisiana; but built of materials unlike anything the Greeks would have used, cypress wood and brick, so that they exuded a feeling of being miniature temples to a misplaced past." 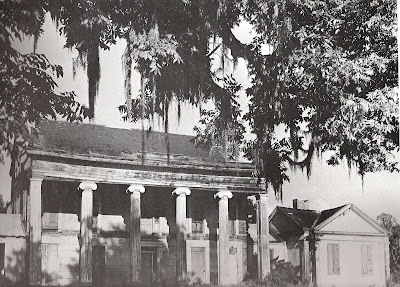 Another plantation which sadly did not survive the test of time is Woodlawn Plantation, built between 1835 and 1839 by William Pugh at a cost of $70,000. 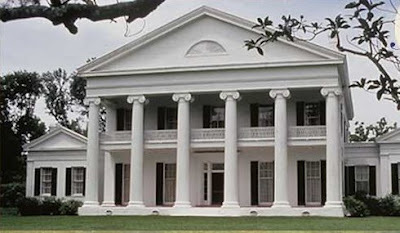 "The Oak Arch" frames the view of this obviously Greek Revival plantation house. It consists of a main body supported by four huge Ionic pillars and is flanked by two temple-like forms which extend backwards, forming enclosed courts for visiting and enjoying the cool of the evening. This house was said to have the first installation of gas and a bathroom with a marble tub. 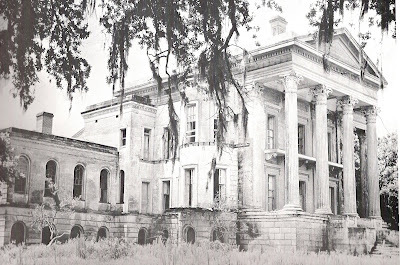 "Farewell to the Past" After Pugh's death, the plantation was sold and eventually abandoned. "The Moss Weeps" Laughlin's words: " When, toward the end of 1946, we returned, after a lapse of some years, years which seemed far longer than they were, to Woodlawn, it was to discover a disquieting and truly tragic sight...Its great capitals littered the ground, scattered as though by a giant." And now, for some of the survivors: Constructed between 1832 and 1836 Bon Sejour Plantation is known today as Oak Alley. 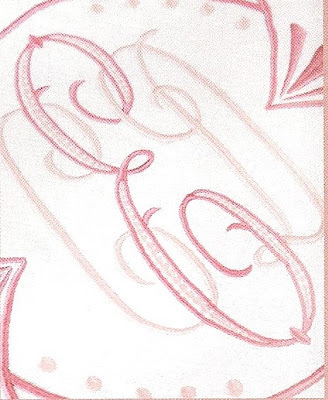 "The Enshadowed Pillars" Laughlin writes:" Noting that his great oaks numbered twenty-eight, Jacques Roman had the columns surrounding the house number the same...The columns have been called Doric. 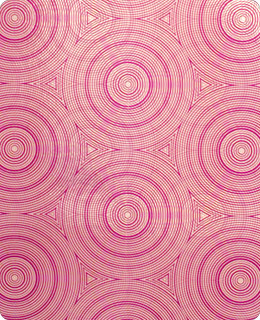 Actually, a close study of their details...reveals them to be something between Roman Doric and Tuscan. 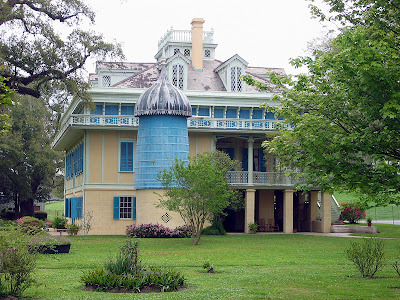 It is this customary lack, in most Louisiana Classic houses of adherence to any fixed order, which was one of the elements...in shaping indigenous quality of the Louisiana Classic style. 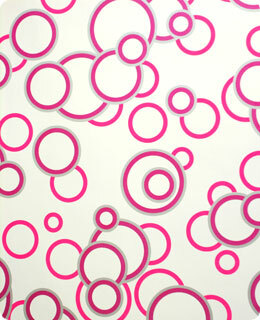 But it revealed an important tendency-the willingness and vision to modify accepted treatment to meet local needs." "The Guardian" Laughlin describes this plate in these words:"It was as though the natural majesty and massiveness of the oaks were transposed into the pillars; and as though the pillars grew by a process analogous to that of the mighty trees." 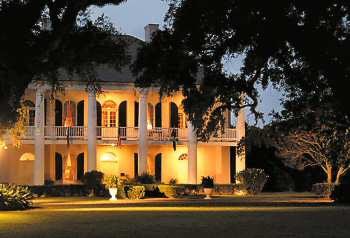 Oak Alley Plantation as it appears today. Tours are conducted here daily and the building is available for weddings as well as private events. There is a bed and breakfast and several arts festivals are held there each year. One very special annual event at Oak Alley is the Christmas Eve bonfire. One of the oldest surviving plantation houses, the Labatut House was built around 1790 by a spanish nobleman named Don Evarist de Barra. The Labatut House today. I think it is a private residence. If you will notice that the house seems to be right up against the road in front, this is evidence of the Mississippi River changing course, and this phenomena was a factor in the loss of several plantations. 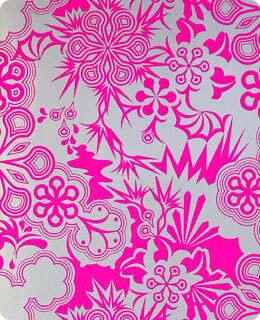 The wild and crazy San Francisco Plantation is a feast for the eyes, both inside and out. 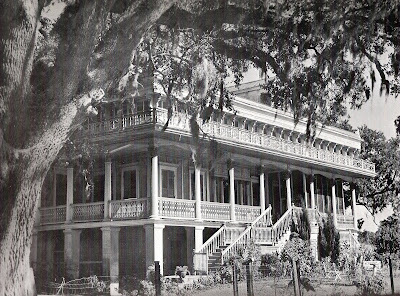 "Steamboat Gothic" Laughlin says,"Another Louisiana "original" is San Francisco Plantation, the creation of a man who could literally be said to have been possessed by fantasy." 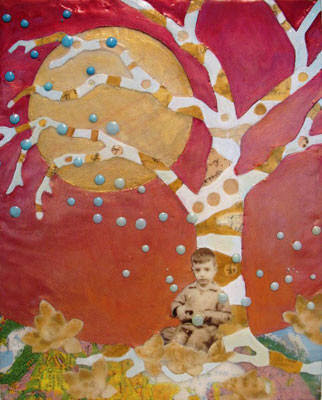 Valsin Marmillion "did not believe in following precedence, he was, in everything, and extreme individualist. He wanted a house which would not be imperious and majestic, but light and gay"a house where his many friends could enjoy themselves, a house which would remind them of their revels on the floating palaces. And so he built San Francisco. And the house became a fantasia on a steamboat theme, with Gothic overtones." Present day San Francisco Plantation After the great flood of 1927, the Army Corps of Engineers constructed a levee which was curved to accomodate San Francisco plantation, ensuring that the land would not be lost to erosion. Today, the plantation sits right up against the road. San Francisco is open daily for tours and is available for weddings and other special events. A side view of San Francisco with a good view of one of the pair of cisterns. 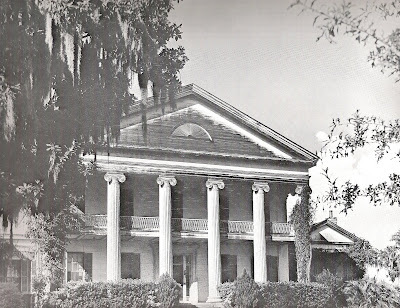 At the time this book was written in 1961, Chretien Point Plantation was still inhabited by a descendent of the original owner. Laughlin states that "no existing house, possibly, in Louisiana preserves more of its original flavor." 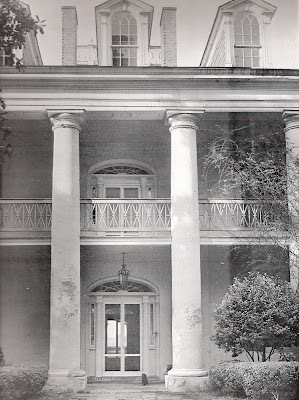 "Under Time's Onslaughts" Laughlin points out that this plantation, called Chretien Point Plantation is an excellent example of Greek Revival Style tempered by Georgian influences. Chretien Point took four years to build and had no formal architect, rather is was designed through a cooperative arrangement between the owner and the craftsmen he hired to do the construction. 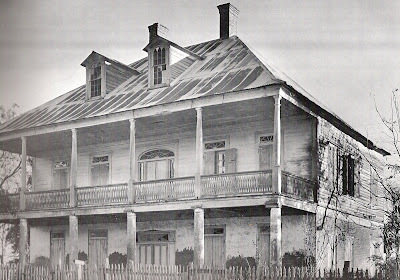 Laughlin says that this was "one of the most important factors in the appearance of so many houses in Louisiana with such strongly indigenous quality. 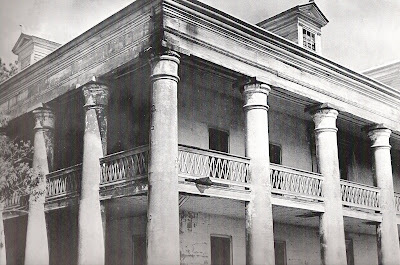 Although at the time the book was published, this plantation was in a terrible state of decay and disrepair, it has been fortunate enough to have been saved. Its stairway was recreated for the movie "Gone With the Wind. It has been in operation as a bed and breakfast, but recently has been sold and is currently under extensive historic rennovation. The plantation is currently closed to the public. 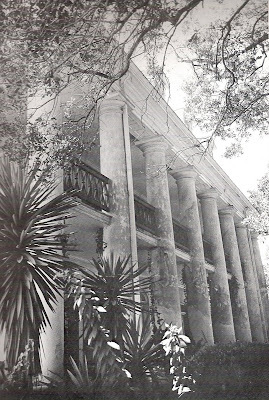 "The Luminous Columns" Madewood Plantation was built by Thomas Pugh, the youngest son of W. H. Pugh, who built Woodlawn. Although Thomas died before the house was completed, his widow, Eliza carried on and saw the project through to completion. Since all the wood used in the building had come from the plantation itself, she decided to call the plantation Madewood. Shown in this photograph as it appeared in 1939, it has always been rather well kept. The present day Madewood was purchased by Naomi Marshall in 1964, at which time she lovingly renovated it. Now owned by her son, it operates as a bed and breakfast and is available for tours and special events. From his introduction on, Laughlin traces the evolution of this particularly indigenous Louisiana Classical architectural form. 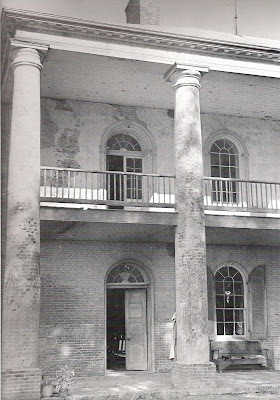 He acknowledges both the influence of French and classical architecture and proceeds to show how both the local climate and the availability of indigenous materials had a great bearing on the development of Louisiana plantation architecture. He even points out that the actual backgrounds and personalities of the people who built these structures had a great impact on the emergence of this style. 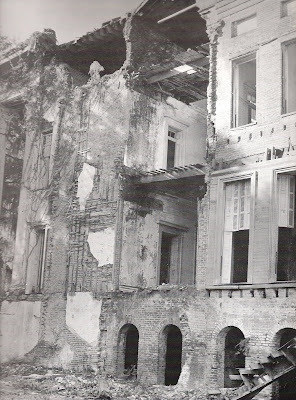 Clarence John Laughlin makes the very important assertion that the plantation architecture of this region is the precursor of modern architecture where the innate character of the available materials used must be respected within a building's design. 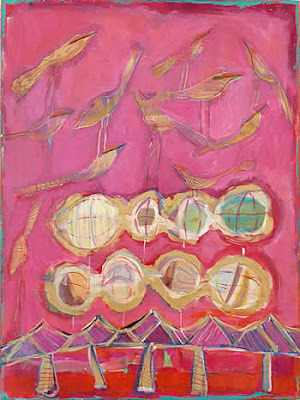 His passion for his subject matter is easily felt and appreciated by the reader. In my opinion, this book helped to make Louisianans aware of the architectural treasures they posessed and was instrumental in bringing about the historic preservation movement in Louisiana.